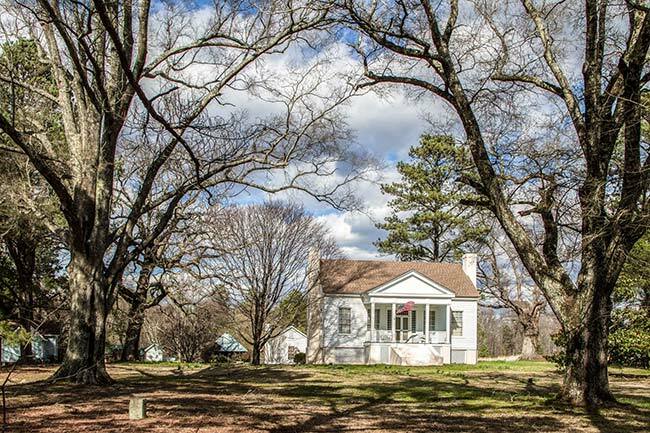 We know very little about the house known as Cedarleaf Farm other than it was once a cotton plantation and is also known as the James Phinney House, built in 1856. We are actively seeking additional information to add to this entry. If you can help, please add information below. Thank you! 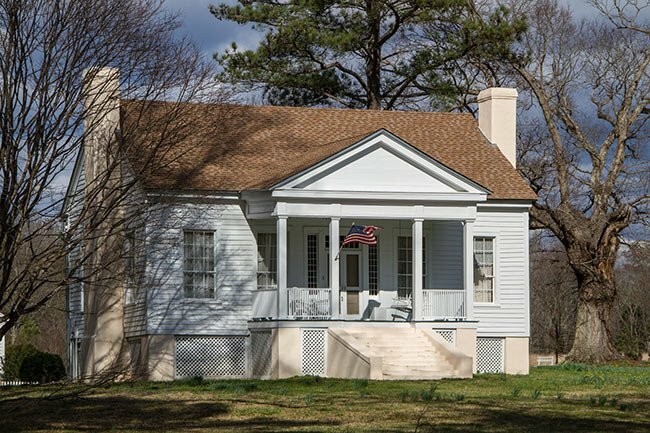 The James Phinney House was built in 1856 and is a fine example of a late antebellum Greek Revival raised cottage. It was nominated under Criterion C in the area of architecture at the local level of significance as an excellent example of the Greek Revival style as it was expressed in rural South Carolina in the mid-nineteenth century. 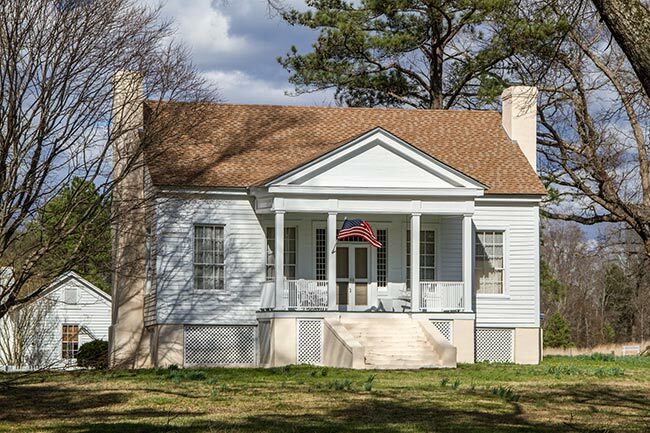 The house has a low-pitch side-gabled roof and prominent central entry portico featuring a pediment supported by four square wooden pillars. The Phinney House was once at the center of a substantial upstate cotton plantation and the 1860 U.S. Federal Census Slave Schedule lists James Phinney as owning thirty-three enslaved people, making him a very prominent slaveholder within the context of Chester District. The plantation was later subdivided and only the small portion of the property that includes the house site was included in the nomination.